Chinese breakfast is very different from Western breakfast, but it provide wide options from rice porridge to Youtiao, from steamed buns to baked buns, from fresh soy milk to soups. 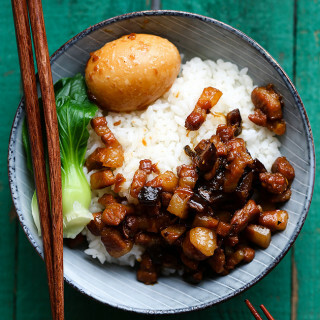 This post introduces what Chinese people eat for breakfast and how your start a day with a comforting Chinese breakfast meal. Youtiao (Chinese fried stick) and soy milk is the best combination for a breakfast. They are the star popular across the country. Youtiao a deep-fried flour stick is additive, crispy, full of aroma and unhealthy. Soy milk is fresh, light and healthy. This combination can even be better if you dip the youtiao and soak it. 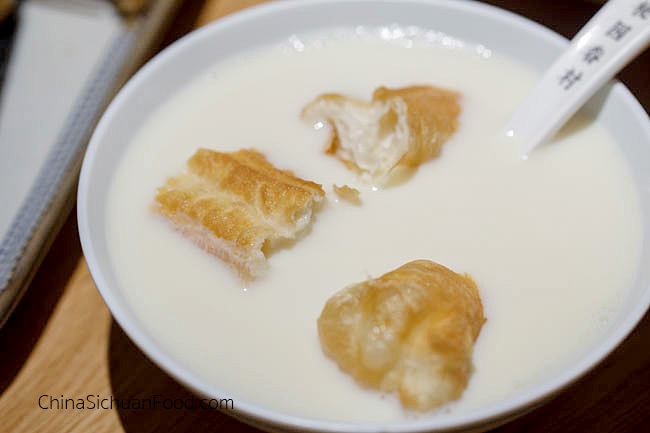 After absorbing enough water and taste of soy milk, youtiao successfully transformed into a juicy and soft dessert. In addition to the great taste, another reason, causing this combination as a star as breakfast is because Chinese people think fried things like this fried stick is “unhealthy” and will bring us extra “hotness” (上火). 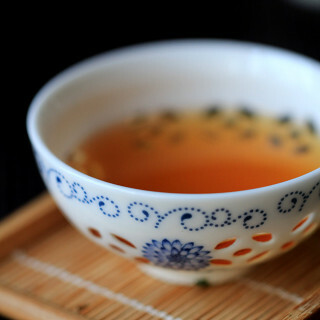 Soy milk is believed to be helpful to cool us down. You can find this combination country wide, especially in Shanghai. Tofu pudding (豆腐花) is very soft tofu. Flavors of tofu pudding vary by region. 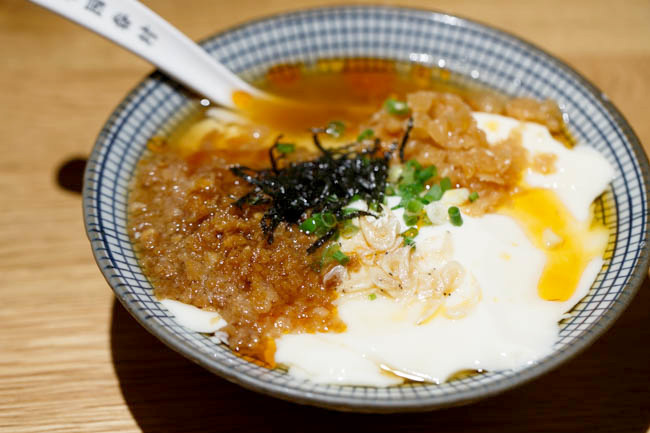 In the north, people like to have salty tofu pudding with soy sauce, salt or even with meat. However, in the south, people prefer the sweet version sweetened by brown sugar syrup or sugar. Tau Foo Fah—soy bean pudding – In mainland China, tofu pudding is made with gypsum (石膏) or Glucono delta-lactone (葡萄糖内脂). However Linda provides us a new option to use agar-agar powder as the coagulant. 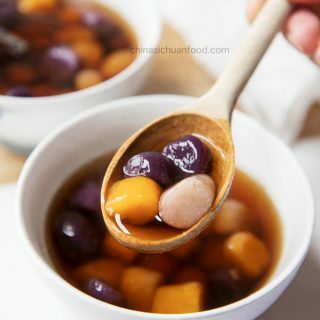 Chinese sweet tofu pudding – Rasa from rasamalaysia introduces a traditional way to use gypsum (石膏) as the coagulant of tofu pudding. With sweet syrup, you can make a classic sweet Chinese tofu pudding with this recipe. Milky youtiao – this recipe from Elaine uses milk to replace water and make a milky version of youtiao. She only uses baking powder and baking soda as the agencies. Youtiao (Chinese crullers) – if you plan to use alum to make youtiao as instructed by the traditional way, you could resort to this version. Porridge is the most popular option for Chinese people. In cold winter, it is warm enough and in summer days, the cooled version is mild enough. In Chinese porridge is called ” 稀饭 ” while congee is called “粥”. Back to old days, porridge is poor man’s porridge as a small amount of rice is boiled with large amount of water. Congee usually is much thicker than porridge and sometimes adds leafy greens and meat inside. Almost every breakfast street vendor provides porridge or congee and you are offered with a large group of choices like plain white rice porridge (白米稀饭)，mixed congee (八宝粥), millet congee (小米粥), preserved egg congee (皮蛋瘦肉粥). 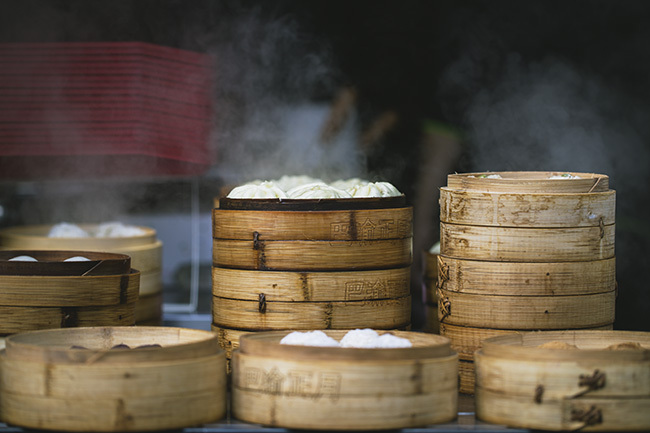 Steamed buns might be served as desserts among any meal in a day but the most popular Chinese option is breakfast. Unstuffed Chinese steamed buns is mantou, usually quite plain, only has a fresh touch of wheat aroma. However it is a great partner with chili oils, sauces and pickles. Stuffed steamed buns are named as Baozi, either savory baozi filled with meat or sweet baozi filled with all kinds of sweet fillings. 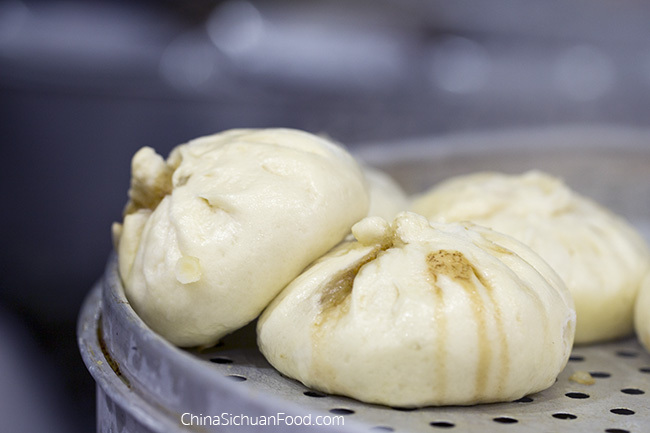 In addition to steamed buns, pan-fried soup buns (生煎包) is also extremely popular because of the juicy and tender filling and chewy wrapper. Pan-fries soup bun is the top star in Shanghai. Preserved egg congee (皮pí蛋dàn瘦shòu肉ròu粥zhōu) – quicker way to make a congee by frozen the rice previously. 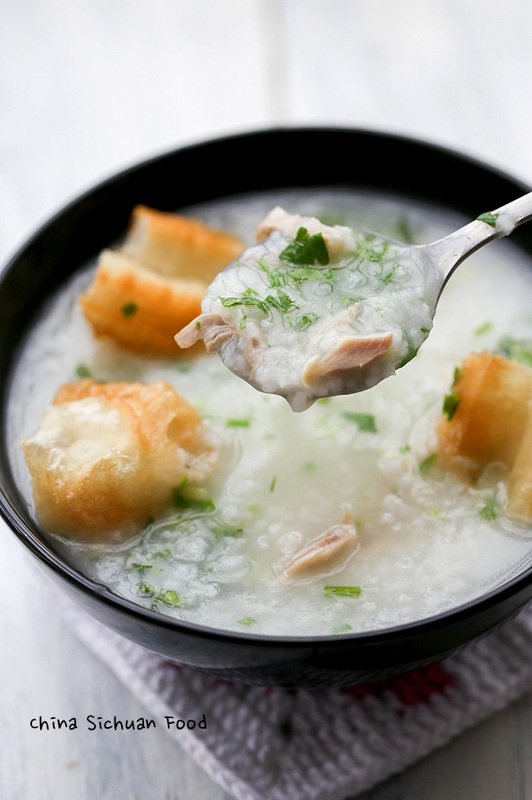 Chicken congee (鸡肉粥) – a luxury congee cook with chicken stock and serve with shredded chicken. Chinese steamed buns-mantou (馒头) – an easy way to make a plain Chinese steamed buns. Those buns are quite plain and without any special taste. This is the popular Northern version. 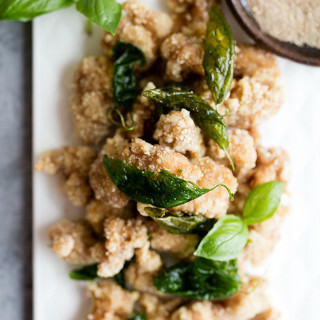 You could top it with pickles or chili oil. 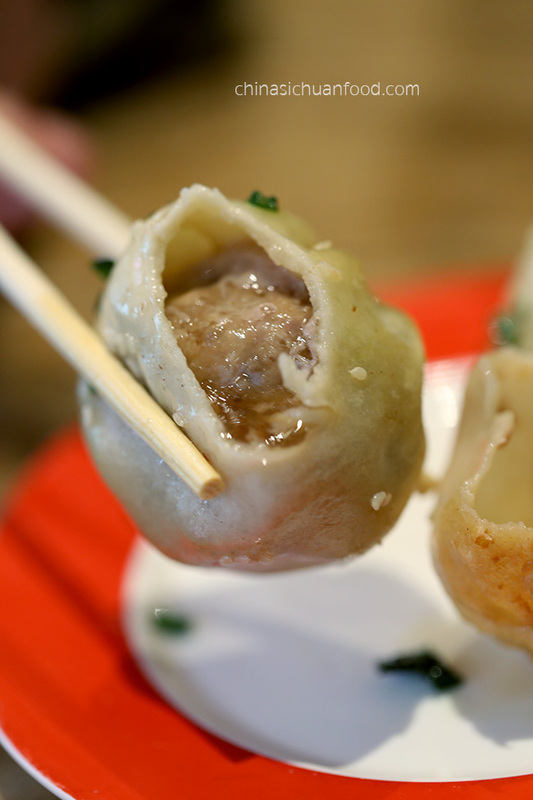 Sweet red bean buns (豆沙包) – great option for sweet teeth. Can be matched with soy milk or congee. Milk Custard buns (奶黄包) – a popular dim sum buns and also available as breakfast in Guangdong province. 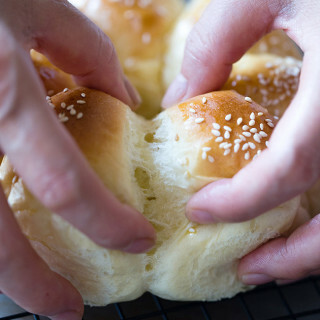 Steamed scallion buns (葱花花卷) – this is flower shaped buns dotted with chopped scallion. Noodles seem not to be a great option for breakfast but Chinese people loves it. A large bowl of wheat noodles or rice noodles is the best choice for lots of Chinese people in several cities. In Chongqing, people love to eat mala (hot and numbing) noodles. In Shanghai, busy workers love to start their day by a bowl of soy sauce noodles. In Wuhan, people on the street love to walk with a bowl of hot dry noodles (武汉热干面). Chongqing Mala Noodles (重庆小面) – for those who loves spicy food. In cool autumn or cold winter, a bowl of mala noodles are quite comforting. 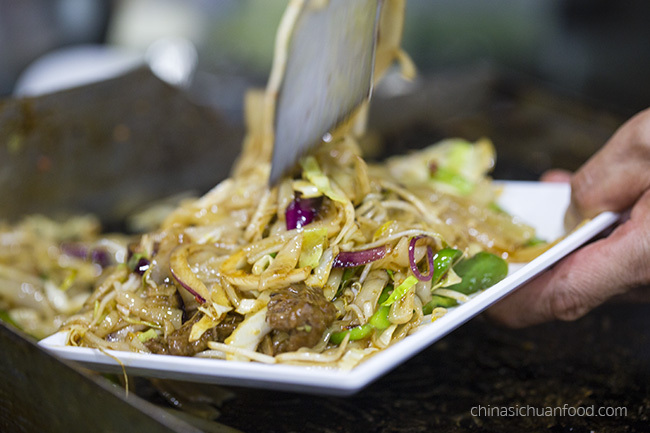 If you visit Chongqing, you can choose to top those noodles with braised beef, minced pork or fried pickled Chinese long beans. Wuhan hot noodles (武汉热干面) – a extremely popular local breakfast and snack noodles in Wuhan and other places in Hubei. It is chewier than common noodles and seasoned by a long list of sauces and sesame paste. 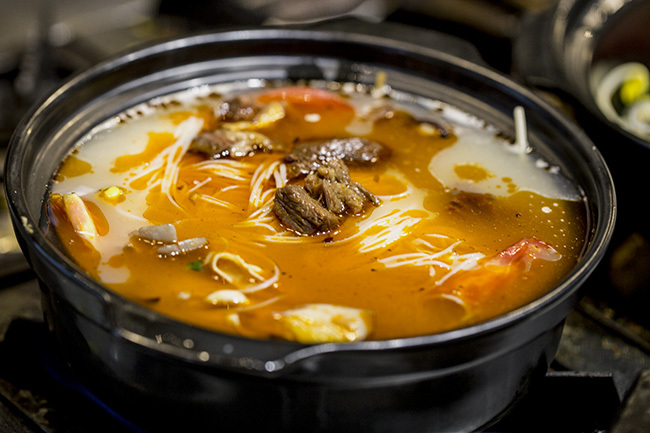 Taiwanese Nuo Rou noodles (台式红烧卤肉面) – this version given by lady and pups (the author is born in Taiwan) is an authentic and luxurious version. Soy sauce noodles (阳春面) – a very basic and humble Chinese noodle soup in the past when China was not as prosperous as now. Yang Chun is referring the tenth month of Chinese lunar calendar. The noodle was priced as ten. It is Chinese custom to call ten “Yang Chun”, so the name Yang Chun noodles is used till now. 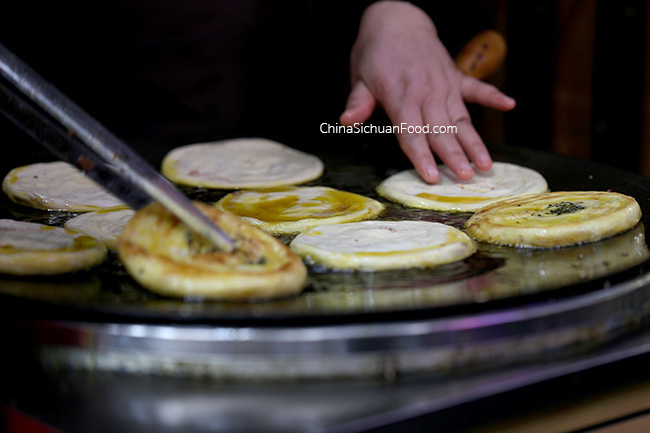 Scallion pancakes(葱花饼和葱油饼), red bean paste pancakes(豆沙饼), egg pancakes, Ji Dan bing (鸡蛋饼) and Shaobing (烧饼) are important roles for a authentic Chinese breakfast. They usually are packaged in small paper bag and the foodies can eat when walking. 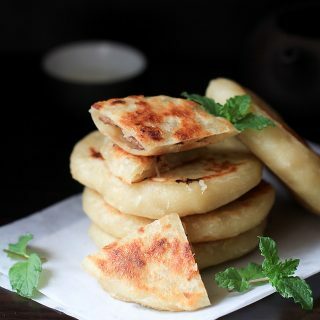 Scallion pancakes – there are several scallion pancakes in China popular in different regions for example large thin and crispy scallion pancake (cut into small pieces before serving) and Shanghai style scallion pancakes (those use lard as shortening). And there is even a simpler version fried directly from flour batter created by Elaine from China Sichuan Food. Ji Dan Bing – Ji Dan bing is less popular than scallion pancake outside China, but it is popular across the country. One side with crispy pancake while the other side is softened by egg. 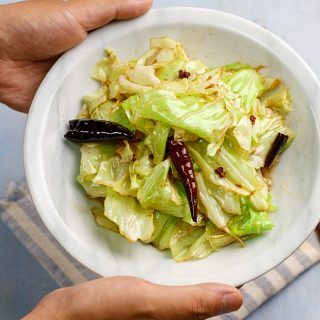 Sometimes, combined chili oil is brushed evenly with a lettuce for adding some freshness. It might be quite weird to lots of people when dumplings and wonton are listed as breakfast. But they have obtain enough love as breakfast options. Steamed dumplings (蒸饺), potstickers (煎饺) and wonton soup are popular breakfast choices across the country. 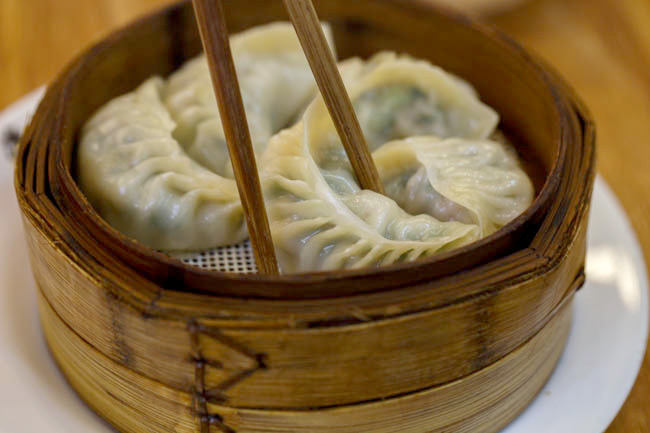 Steamed dumplings – the best steamed dumplings in China are those tiny ones from Sha Xian (沙县小吃). But they are always easy to make at home. Chive and pork potstickers (猪肉锅贴) – chive and pork is one of the most popular Chinese dumpling filling combination. Vegan potstickers (素锅贴) – filled with mushrooms, cabbages and served with a spicy Sichuan dip. All kinds of pickles (泡菜) and tea eggs (茶叶蛋). You may encounter with a large pot of tea eggs on the corner of the streets. They are the best partner for noodles like soy sauce noodles or reman noodles. Different kinds of pickled vegetables (pickled Chinese long beans: 酸豆角, Sichuan pickled vegetables: 川味泡菜, kimchi, and spicy dried radish:拉萝卜干)are often offered as free toppings to congee, porridge or steamed buns. 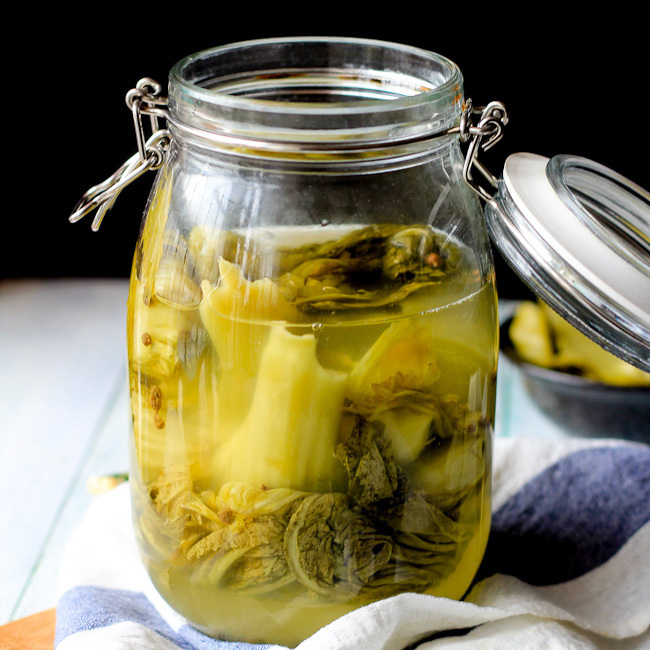 Quick Chinese pickles – from Noobcook uses cucumber, carrot, pineapple and pepper. 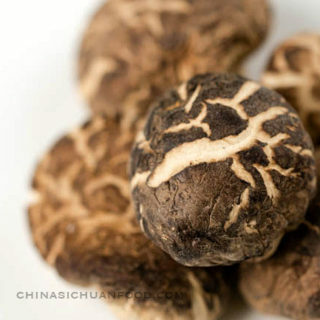 Chinese Tea Eggs (茶叶蛋) – classic Chinese tea eggs. Pickled ginger (泡姜) – sweet and sour pickled ginger slices. Thanks Chloe! Such a warming comment. Although it is hot in summer, I love it! Your photos and recipes are just wonderful! I want to go to China now just to eat, eat, eat! Welcome to China and wish you a yummy journey! 2017 we were in Wuhan. We had a home stay and we’re served an amazing dish for breakfast. It was a baked slice with rice, chopped mushrooms and an egg mixture poured over and cooked. Can’t remember what it was called. Google wasn’t any help. Can you? It is a very famous Hubei style breakfast named as “豆皮”. 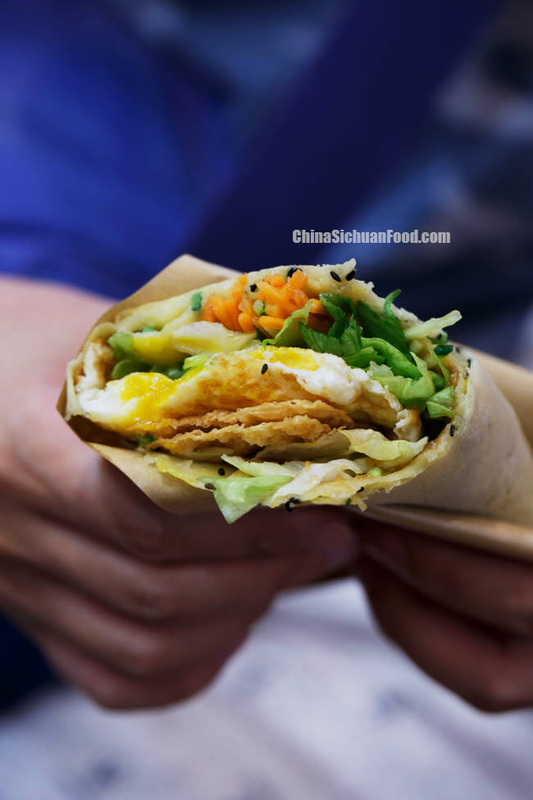 It is made with thin wrapper, egg, sticky rice, mushrooms and other ingredients. You can search the Chinese name in a Chinese search engine.